Ozone Gaming in-ear headsets TriFX are painstakingly engineered with a heavy focus on durability, comfort and uncompromised sound quality for both gaming and music. 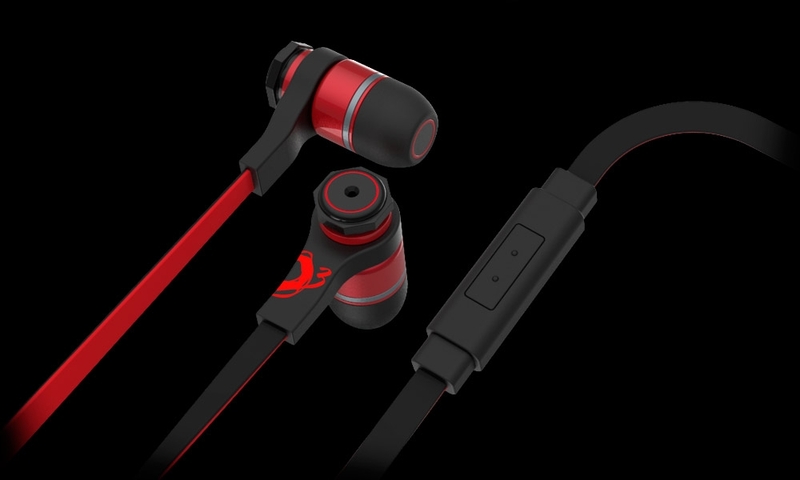 Designed to combine the highest audio quality and the versatility of an in-ear headsets that allows to focus on the game or listen music with the topmost smooth, rich sound with the detail and clarity of a premium headsets. 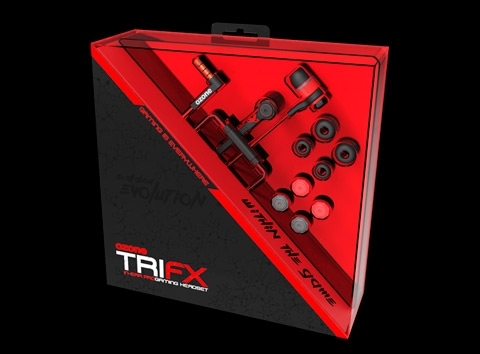 TRIFX's contains three interchangeable EQ enhancers; Ultra Bass, a volume booster, Pure Mid, perfect balance for both voice and game audio levels, and High Pitch, enhancer for those moments when all in-game sounds are crucial. The EQ enhancers create different gaming audio modes to make this in-ear headsets even more enjoyable. Maintaining a really high quality sound with clear mids, highs and effective bass. Ozone has designed three different earcups to adapt to the individual shape of each ear for a full immersion on the game. Providing a superior sound isolation, essential for the player, allowing them to fully concentrate on the game experience. Gamers need to feel comfortable for a complete immersion in the game. To carry TriFX with style, Ozone has include a compact carrying case that allows portability and protection of the headset while travelling. Built with a lightweight strong anodized aluminum body that offers comfort along with incredible durability making them an excellent choice for long gaming sessions or listen music on the go. Ozone’s engineering team has select extra durable flat cable for TriFX to avoid the frustrating wire tangle and ensuring that the earphones are ready to use straight out of the pocket and making it extra resistant. Ozone TriFX is topped off with a PTT Controller that contains a push to talk button to get easy access to every call function during long gaming sessions or while listen music on your mobile device. It also allows to control volume and noise cancellation.